coordinating pillow compliments this quilt. 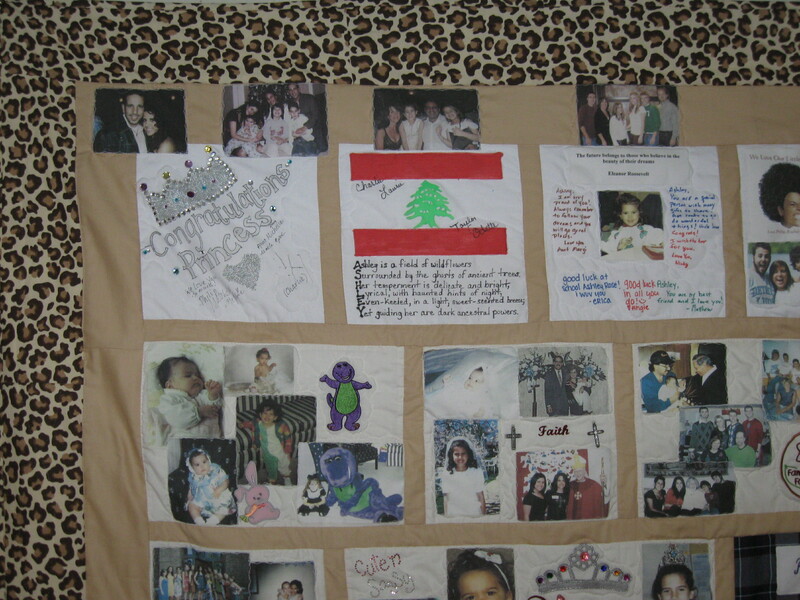 To view more Memory Pillow Cover samples Click Here. 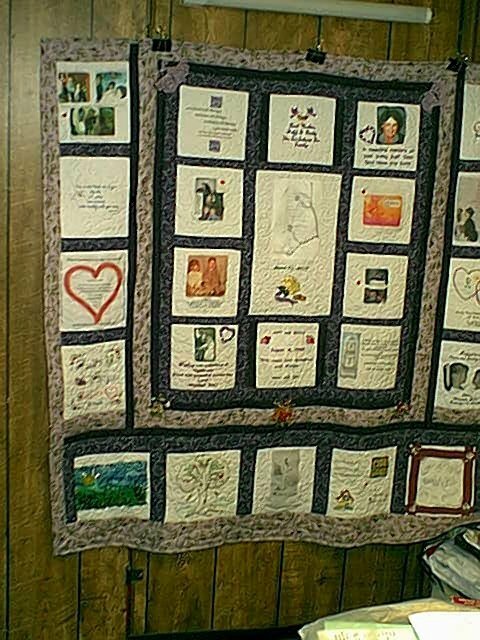 This Quilt measures 64" x 72", approximately $530. Pillow, 16" square plus ruffle, $30. Diaper Bag is Actually an Invitation Enlarged - Open to keep cards. 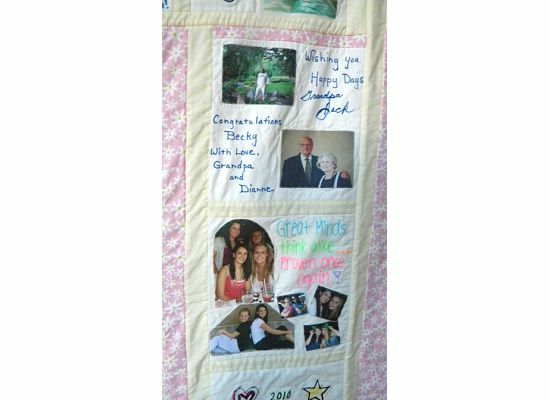 This Quilt offers 56 Squares to personalize! 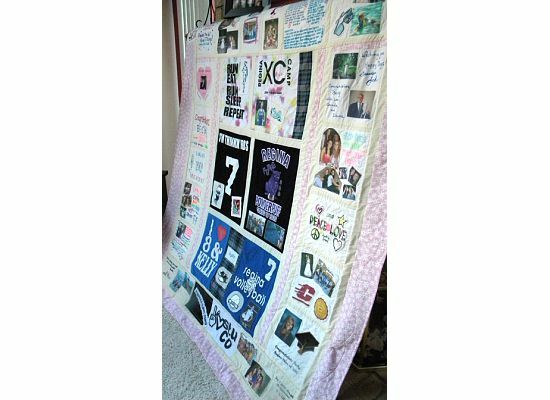 Blocks may include a photo, graphic or Embroidered Design. 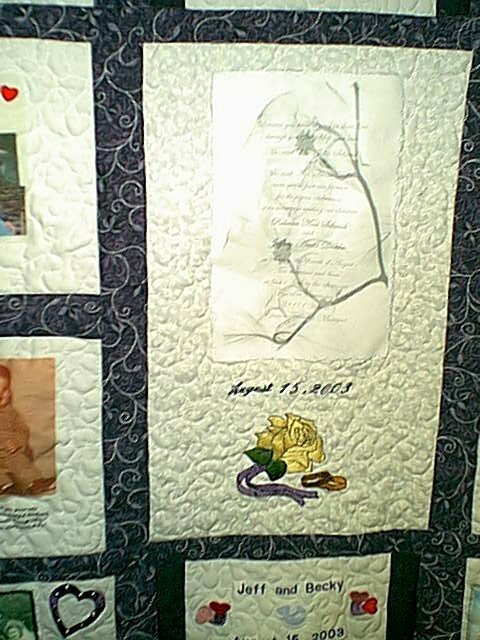 (Participation Quilts) and the Quilt name. 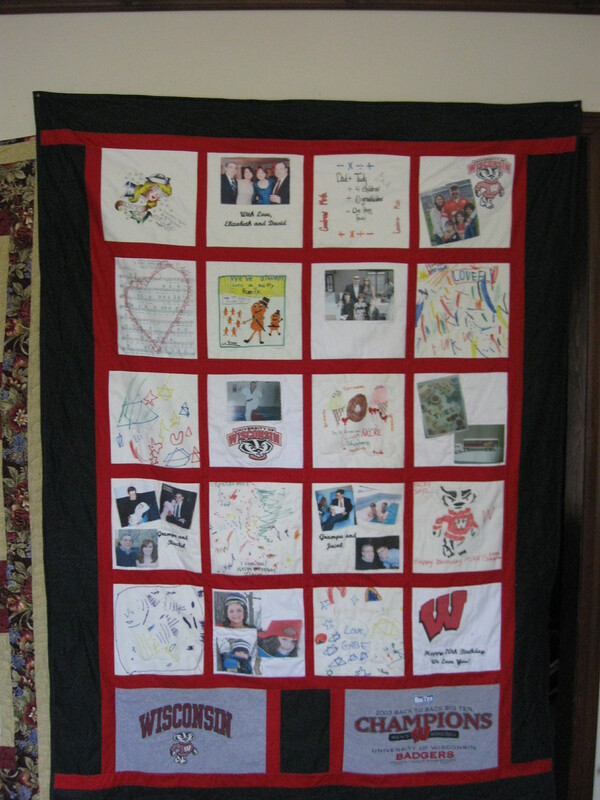 **Some Quilt orders qualify to also receive a Pillow Cover Gift Certificate that can be included with the auction Quilt or auctioned off separately for extra funds! 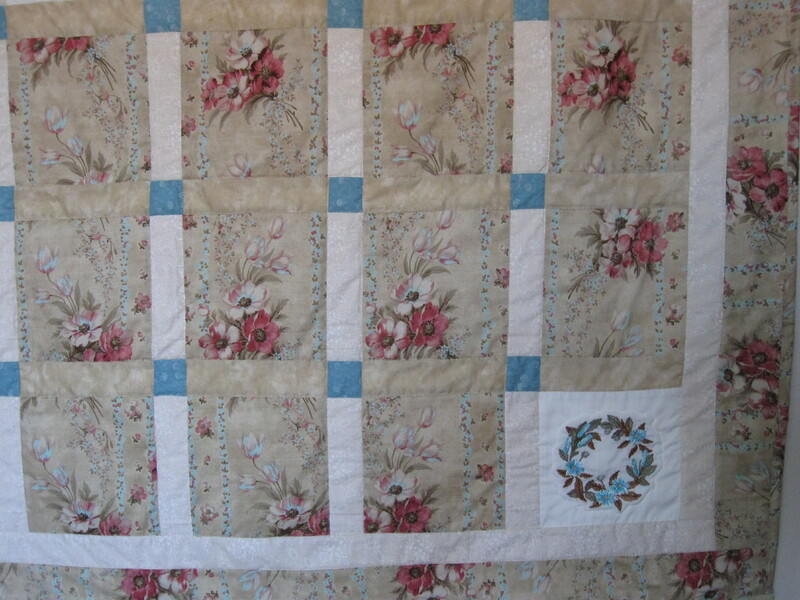 Multi-Quilt Discount- Order 2 or more Quilts and receive 10% off your total purchase! Stars and some planets are appliqued in place-Kids have signed the stars! Themed Fabrics and Embroidery Designs available for just about anything-just ask! Done in any size-your choice of colors and theme fabrics if desired! Can be made using school colors- uniform shirt with logo added in corner block! 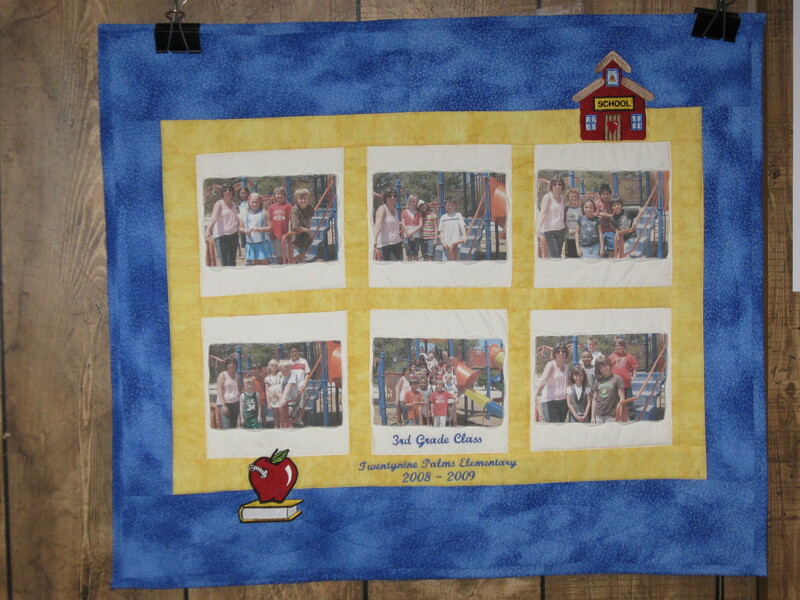 Many great 'School Themed' designs available- great idea for School auctions and fundraisers! Done in any size, color combination and style! 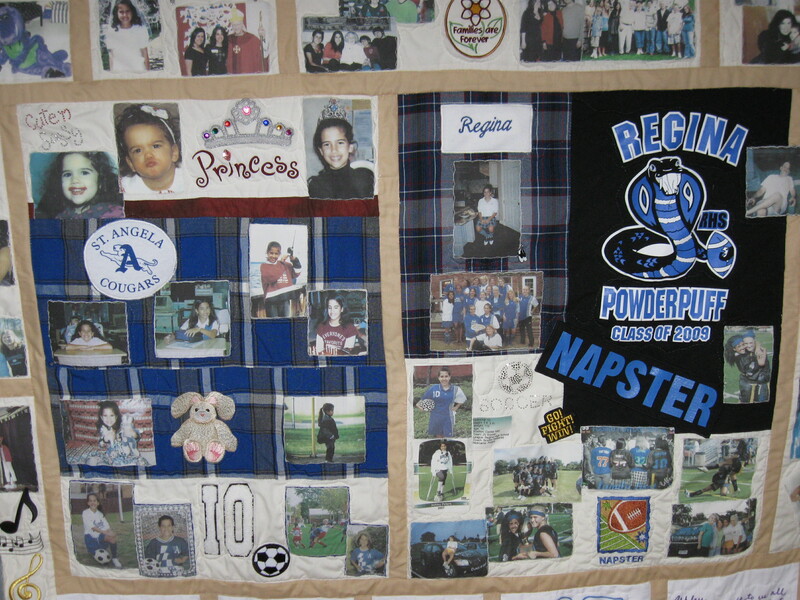 This Quilt 87 x 82"
School uniform fabric also used- many school themed designs available! 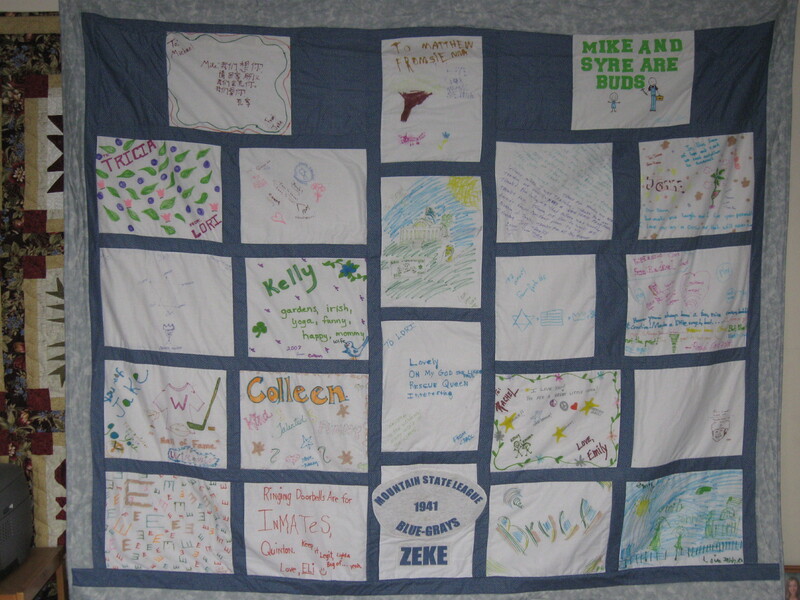 This Quilt 63 x 77"
T-shirt panels added along with Photos and 'Participation' blocks! Embroidered Wording and Designs added. Designs for almost any 'theme' available. Sorry, photo is so dark! Done in your choice of colors! 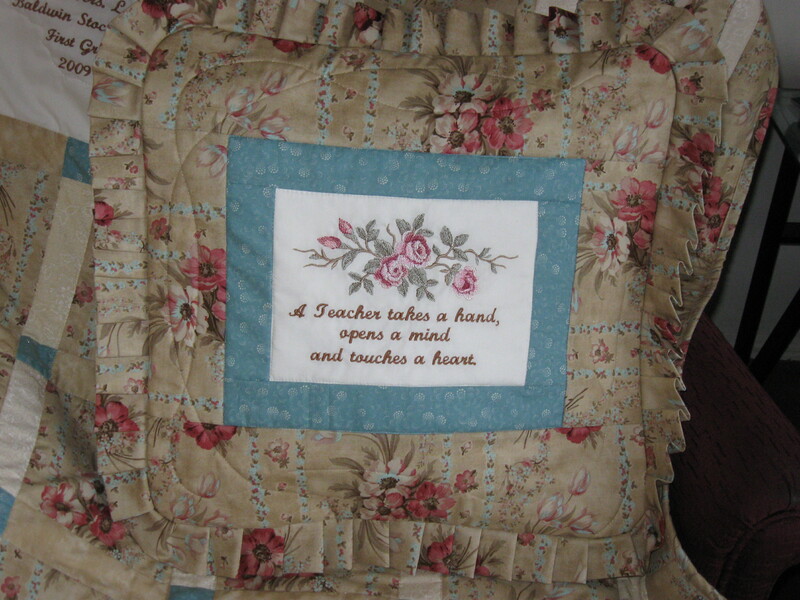 This Quilt 54 x 60"
Great idea for an Auction Embroidered Designs and Wording added-Many school related designs available! 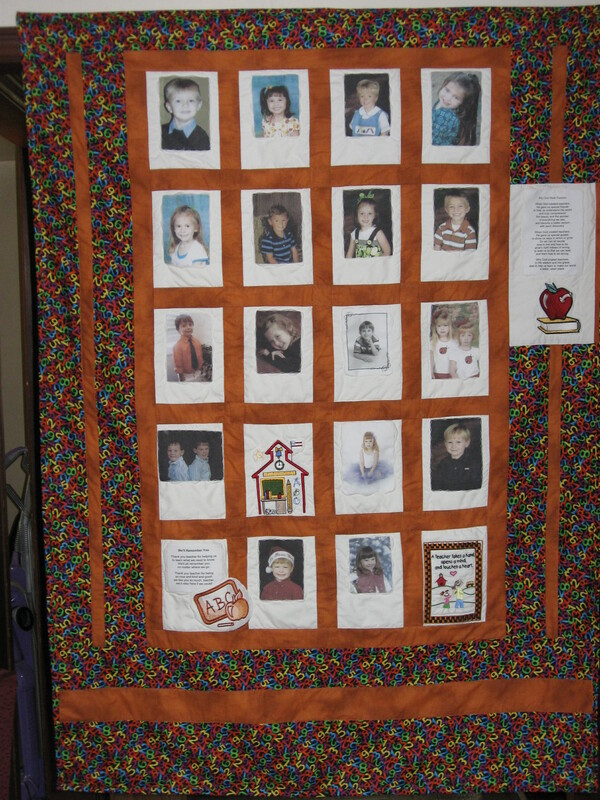 This Quilt 42 x 57"
Quilts can be made up using School colors or Theme Fabrics! 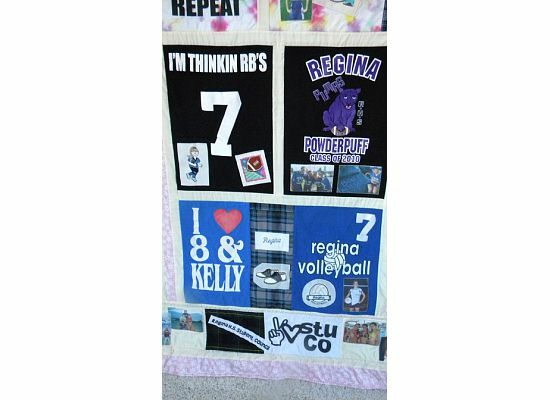 This Quilt 84 x 96"
Any size, any theme, any design available-submit suggestions and ideas to Karen Embroidered Designs and Wording added-Many school related designs available! 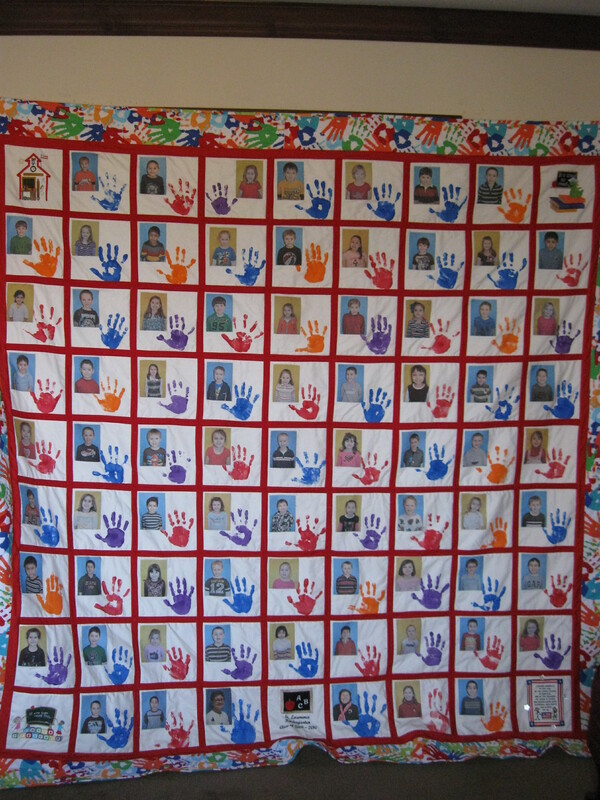 This Quilt 52 x 71""
A gift the whole family can participate in! Many Team and sports Logos/Designs available-just ask! 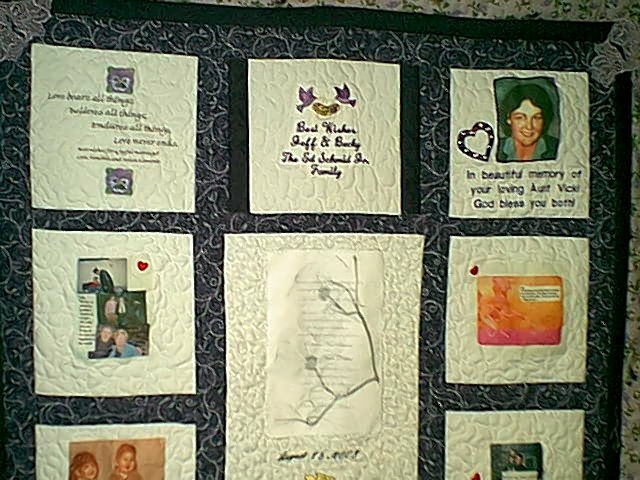 This Quilt 69 x 91"
This Quilt 47 x 54"
This Quilt 48 x 57"
Embroidered Wording and up to 6 Photos added. Your choice of Colors & Fabric Style. A Muslin fabric is used on the back, perfect for autographs using a permanent marking pen! 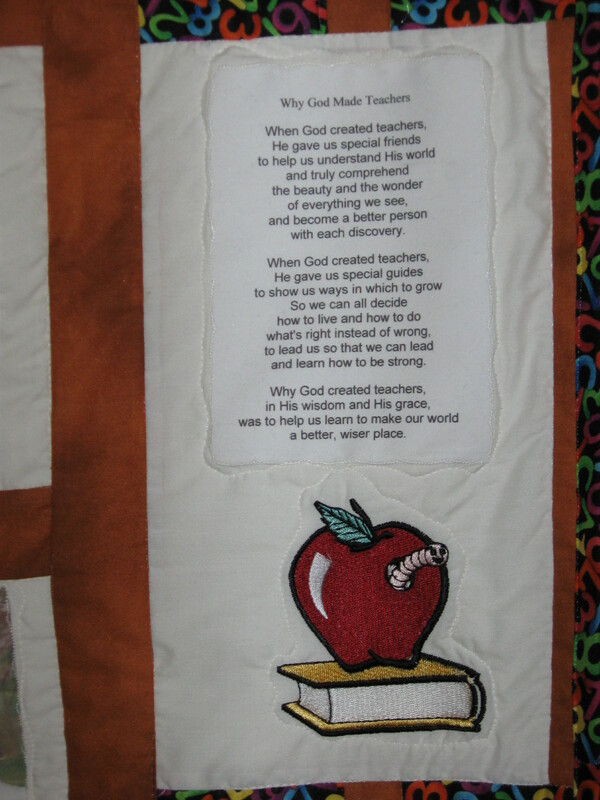 This Quilt 88 x 97"
This Quilt 59 x 68"
Many school theme Embroidered Designs available. Embroidered Wording may also be added. 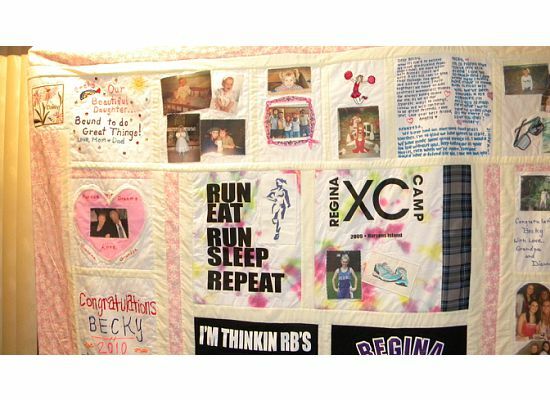 Submit special requests to Karen@cofq.net Fabulous Fleece Print Fabric used on the back for a super soft and warm quilt! Give Your Teacher a Hand! Beautiful Batik fabrics give this quilt an 'artsy' flair! Handprints! 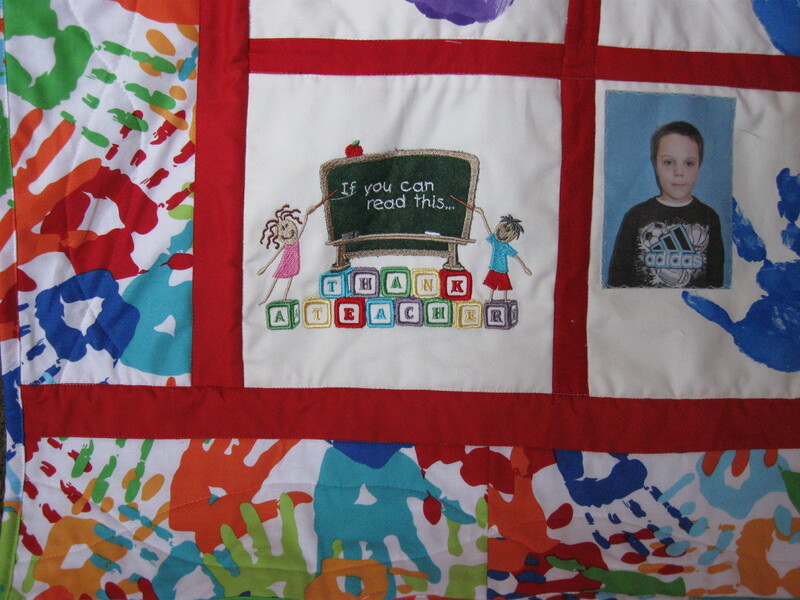 Great idea for a School Auction Quilt-this quilt 84 x 90"
Multi Embroidered Designs and Wording- Any size available Many fabulous Embroidered Designs available including the whole alphabet! Perfect for that favorite Teacher! 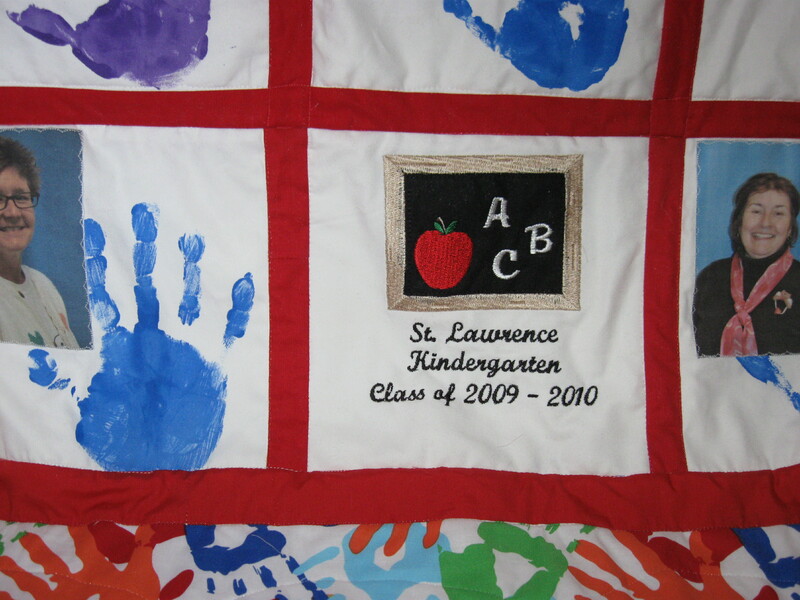 The kids handprints were copied onto fabric! Note: A Muslin fabric may be used on Pillow backs- perfect for autographs using a permanent fabric pen! Space is left on top/bottom panels for Family personal notes! 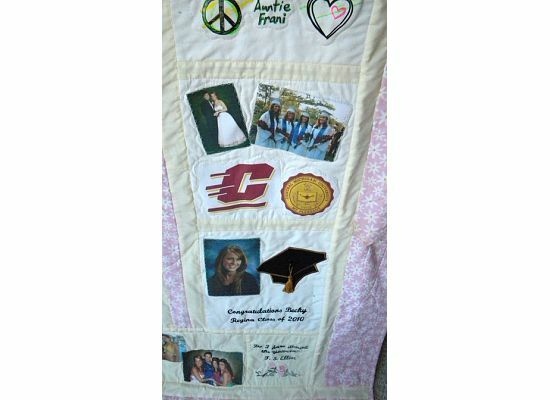 A decorated block from each Family member is the perfect, personalized touch! The perfect way to capture Memories from a special event! 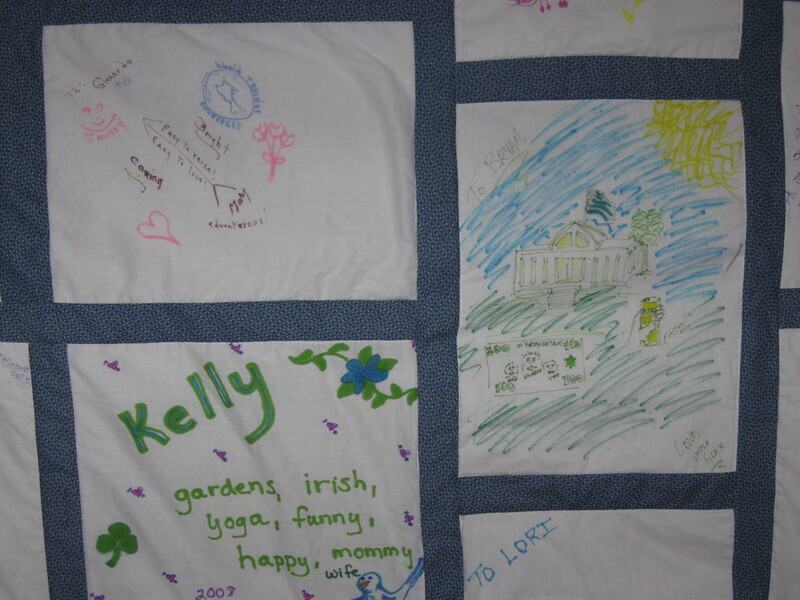 Embroidered Designs reflect the event-center panel is a T-shirt! Clothing pieces may be added! 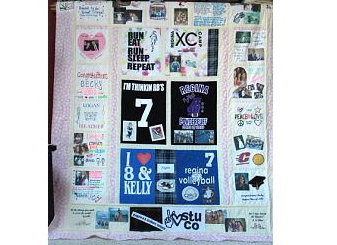 This Quilt 60 x 61"
The perfect, personalized gift from Friends and Family! 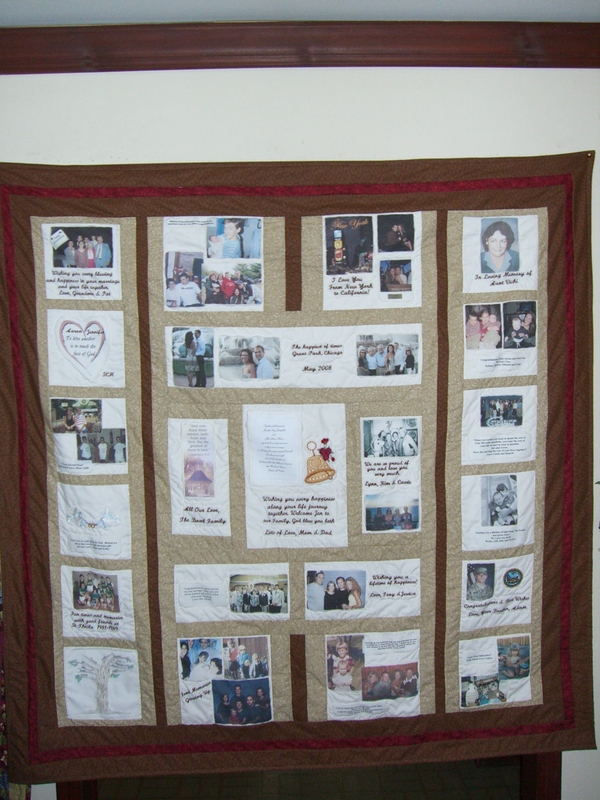 Photos, Embroidered Designs and Wording added. Your choice of colors and fabric style-any size available. 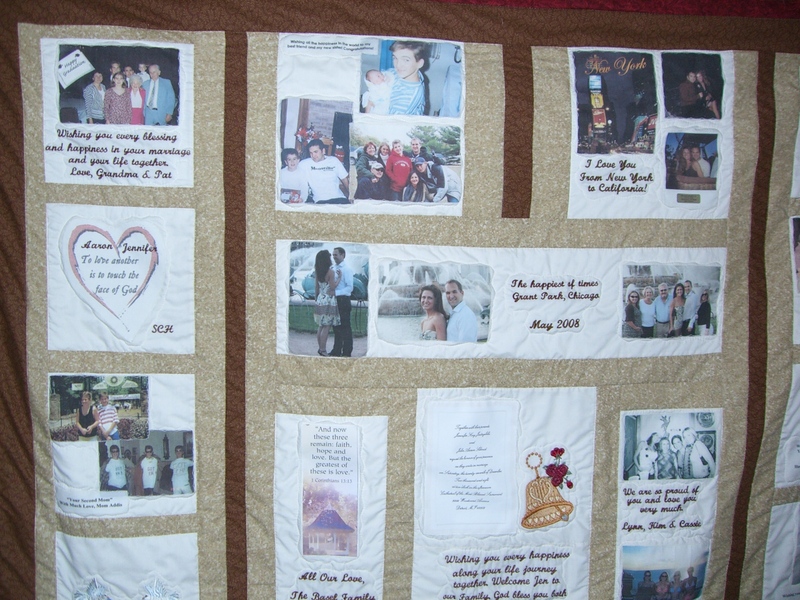 Photos, Embroidered Designs and Wording added. 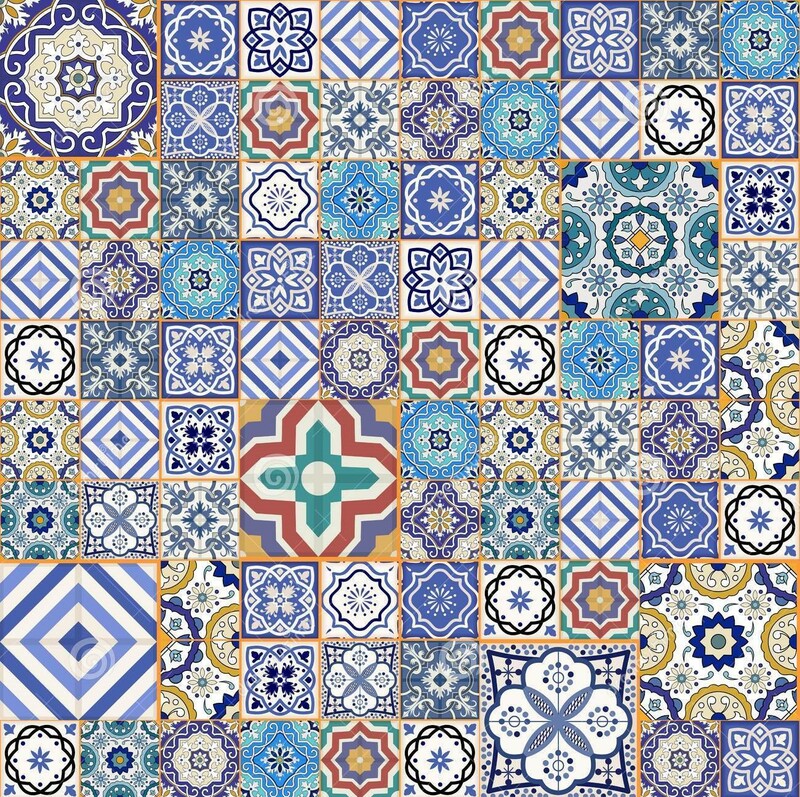 Designs for almost any theme available-just ask! 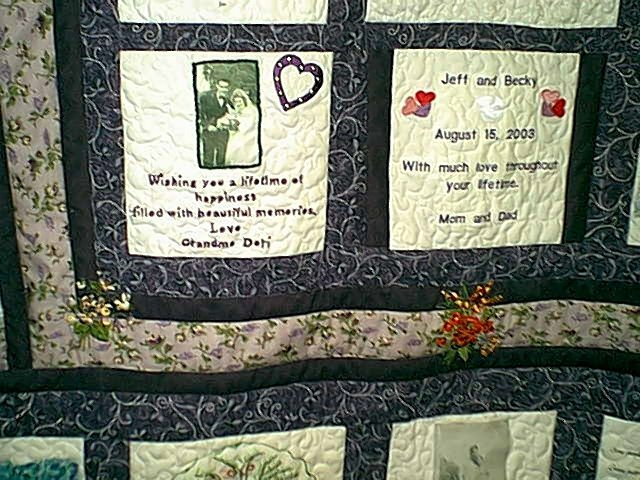 This Quilt 56 x 65"
The Perfect Gift Idea for that Special Someone! Embroidery Scape (landscape design) and Music Box added. 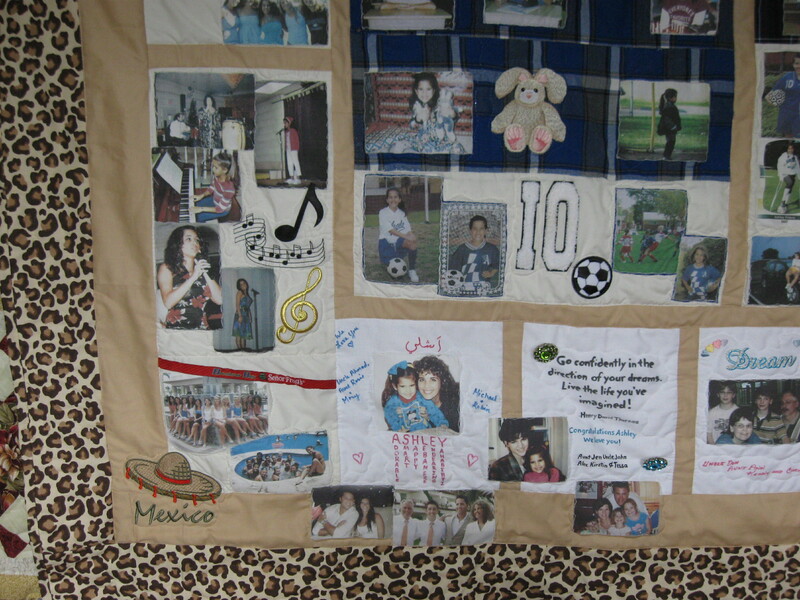 This quilt offers many mediums-T-shirt panels and logos, appliques, photos, embroidered designs, pins, buttons, etc. 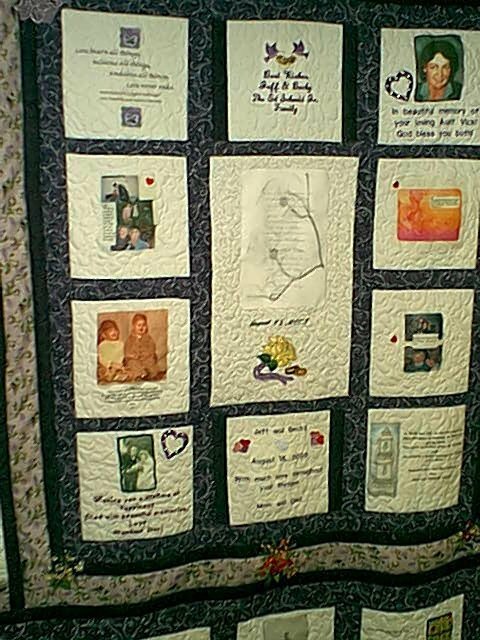 The cost of the quilt will depend on the size and detail of the design. 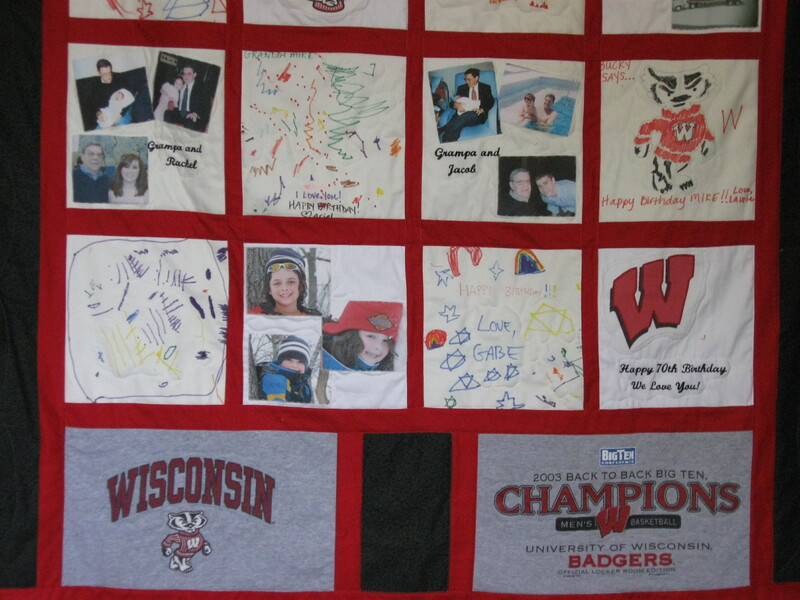 The Participation Quilt is usually a grid-block style, using blocks that are at least 8” square. 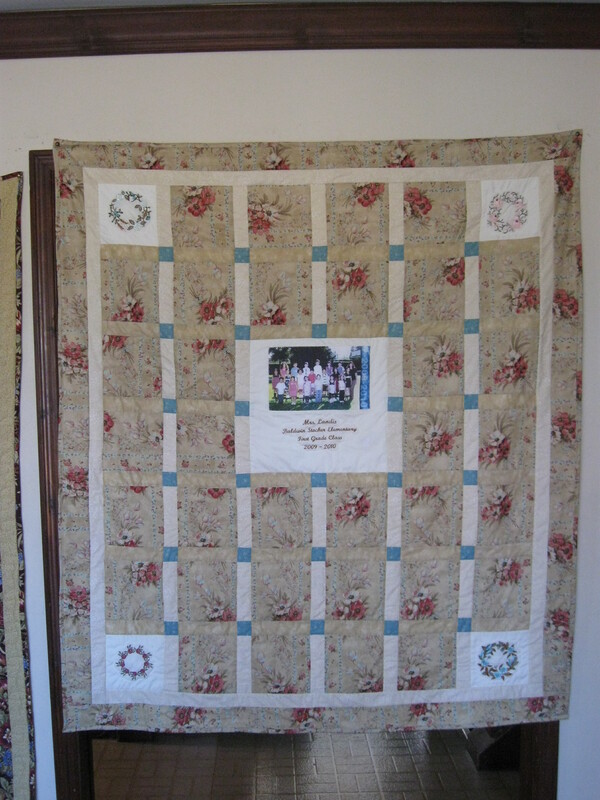 Circle of Friends Quilting will discuss size, approximate number of blocks and design style with the customer. 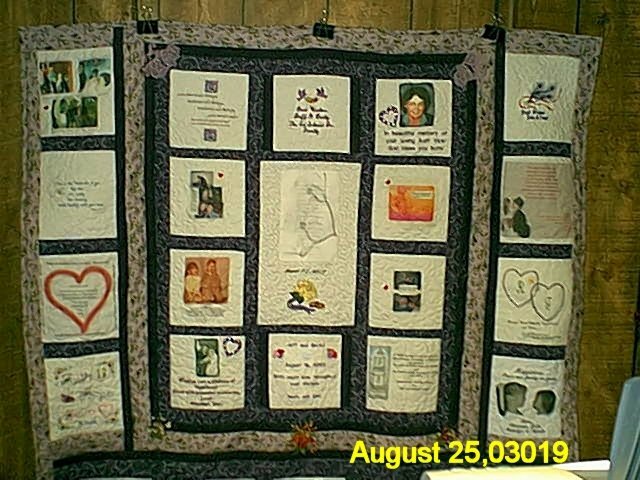 A price will be quoted and if agreed upon, the customer will receive a ‘Participation Quilt Guidelines’ sheet to copy and send to all participants along with the fabric blocks. The guidelines sheet explains how the block is to be done, offers design suggestions and lets the participant know when all the blocks must be returned. 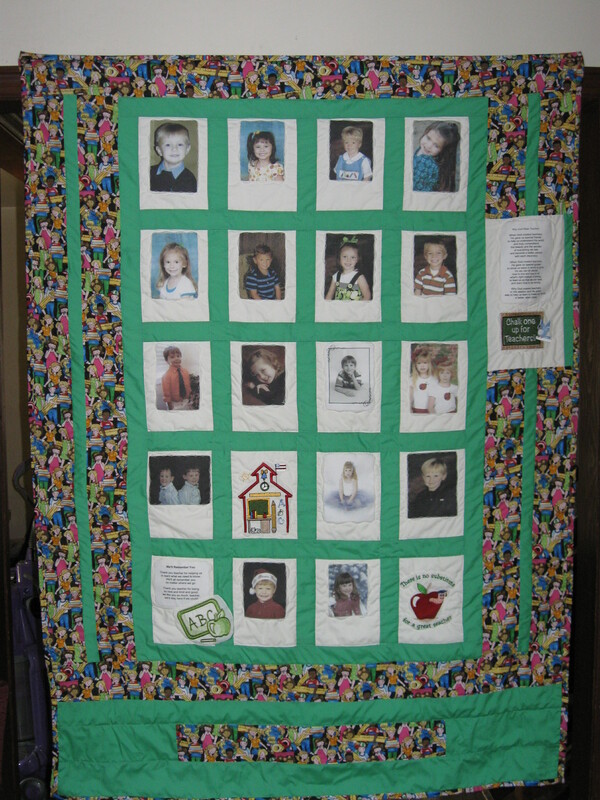 When all the blocks are collected, the quilt will be constructed using customers choice of fabric colors/prints. The customer is always welcome to provide their own fabrics. Please inquire for yardages needed, a price adjustment may be made. 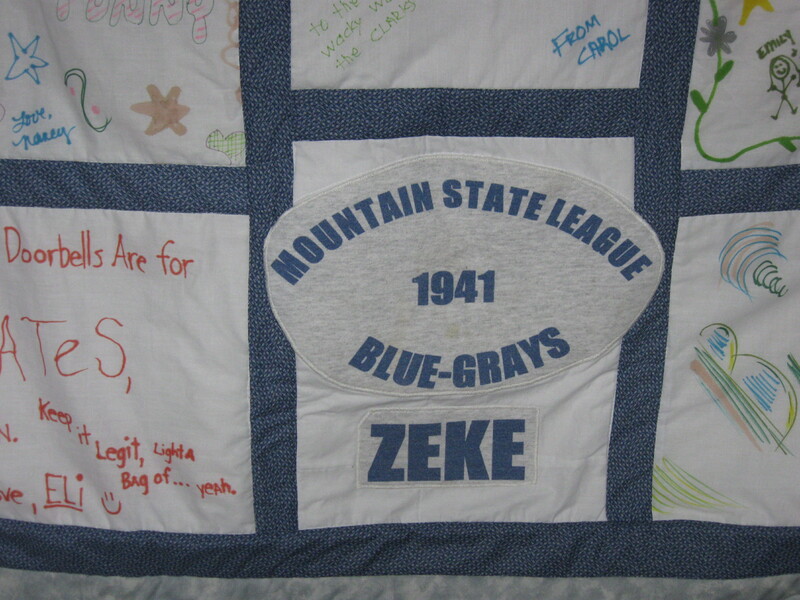 The quilt may also be personalized with embroidered designs and/or wording. This will all be discussed when the quilt is ordered. Special requests and suggestions are always welcome. 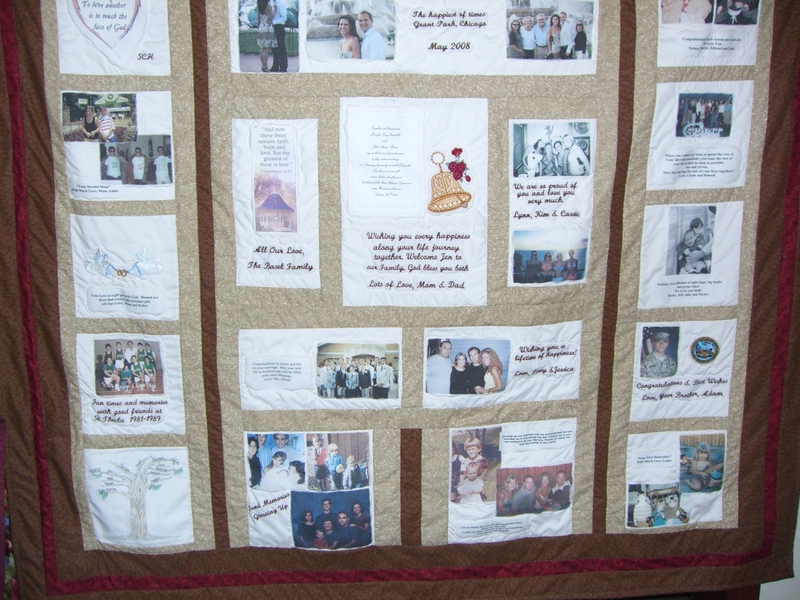 Circle of Friends Quilting will always try to honor your requests whenever possible! The fabric used must be 100% cotton fabric with a higher thread count (200 +). This is a better quality cotton that washes well and accepts the photo transfers easily. The fabric should be white or a light cream (whichever will work best with the quilt border fabric colors). The fabric should not be pre-washed. 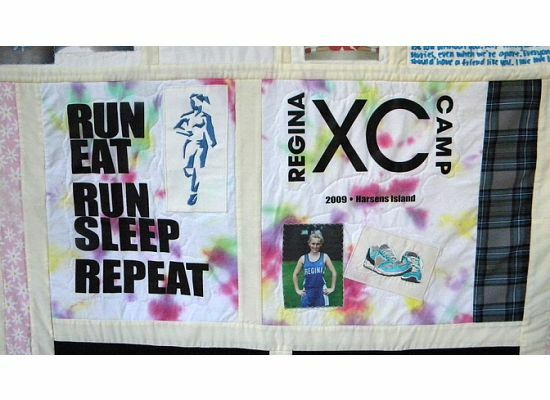 The quilt participants will be asked to use only embellishments/materials that can be permanently adhered to the quilt and use only permanent fabric pens, markers and/or paints. 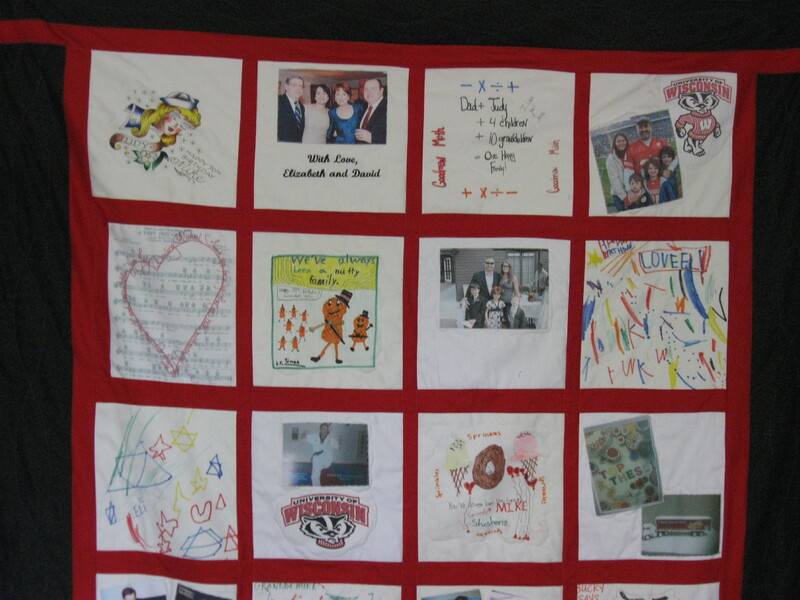 A contact number will be on the guidelines sheet and the block participants are encouraged to email or call directly if they have any questions concerning the quilt. 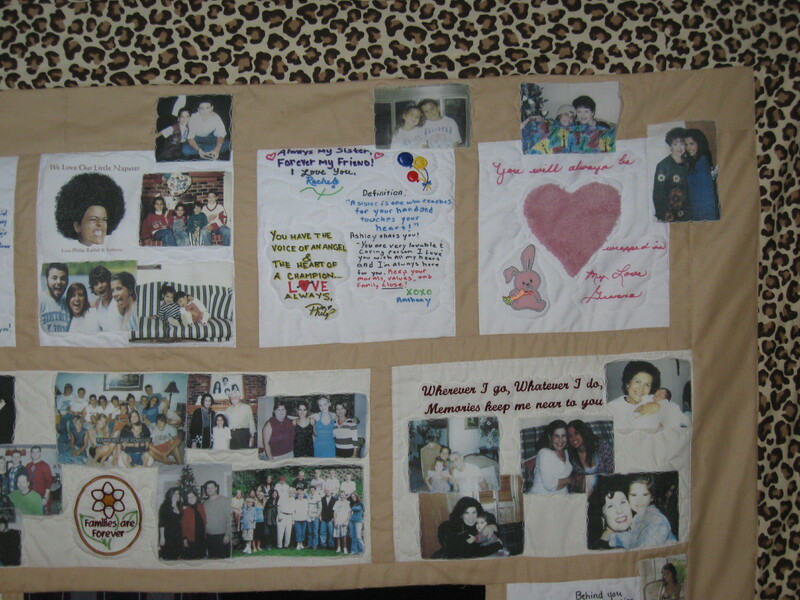 This type of quilt is a bit more involved and requires more of your time certainly. However, it is the most personal of gifts and one that will be cherished forever!